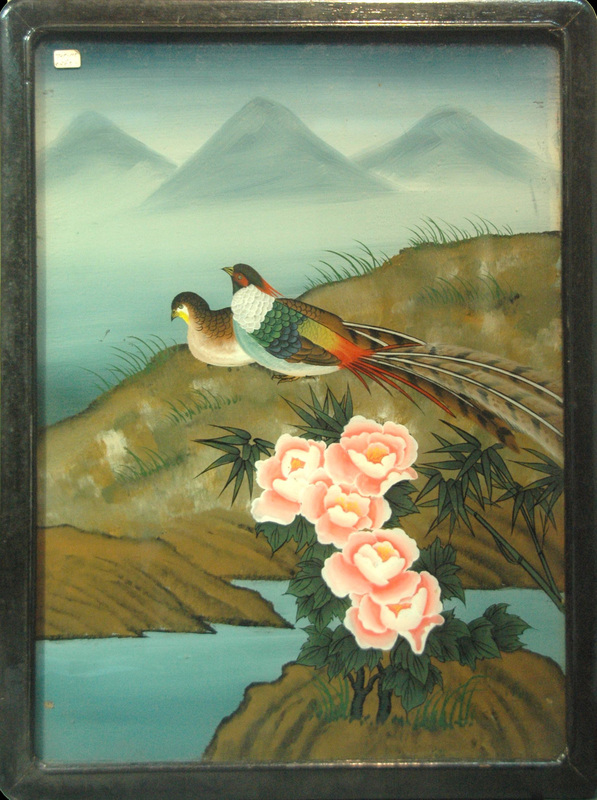 This is a glass painting of a pair of Lady Amherst’s pheasant (Chrysolophus amherstiae) which are native to south western China and north eastern part of Myanmar. For the Chinese, the Lady Amherst’s pheasant is a noble bird. At the time of monarchy the Empress, being the highest ranking second only to the Emperor, would have phoenix as a pattern. For the first ranking official, their costume would have a red crown crane, while the second ranking official the Lady Amherst’s pheasant. The third ranking, the green peafowl and the fifth the silver pheasant, the eighth being the quail.